The biggest changes for the freshly released update include the return of iPhone music controls and (finally) portrait Nightstand mode. Portrait Nightstand mode is clearly a precursor for the AirPower charging mat Apple is on the cusp of releasing. You can see all the changes in our hands-on video. Here is what we covered in our hands-on video. Why is it that the Apple Watch can’t be made to control or connect to the HomePod? Does Apple Watch not technically suppprt AirPlay? Seems odd that the two devices wouldn’t work together. I’d love to be able to start playing music on my watch and send it to HomePod. Or phone calls, etc. in the video at minute marker 1:10 he taps the audio destination icon and it lists AP endpoints, including the HP. tho it may be casting from the paired iphone and not the watch itself...the watch itself may only be able to do BT endpoints. Someone else mentioned that on another thread. I’m not having that issue but I also haven’t upgraded to 11.3 yet. This video played in the standard iOS viewer, I don’t get any of those controls or “YouTube” at the bottom. What I want to know is how they have an AirPower charging mat that hasn’t yet been released. 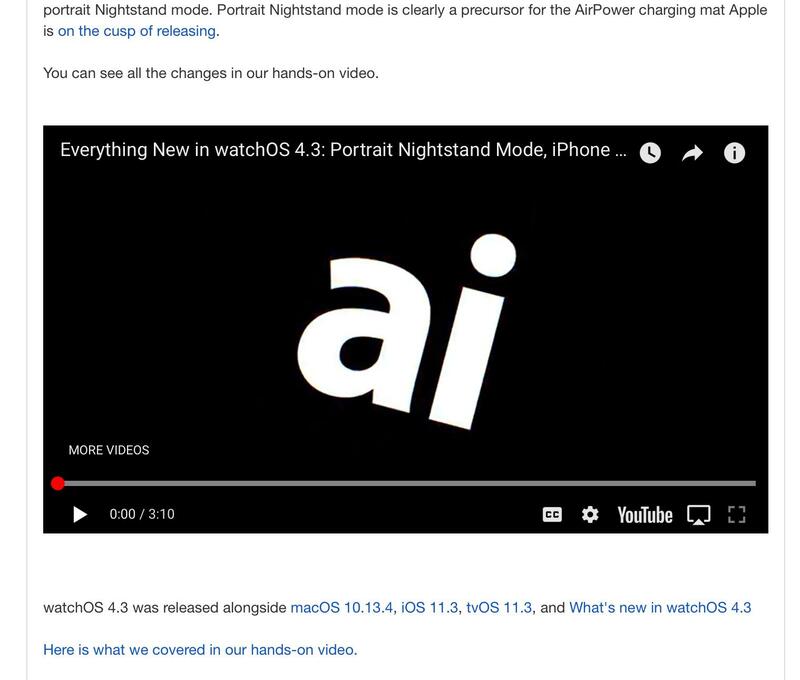 Well the controls in my screenshot are the default controls youtube renders in any embedded clip — you should definitely be seeing them on this article where the embedded video resides when you tap the play icon on it. 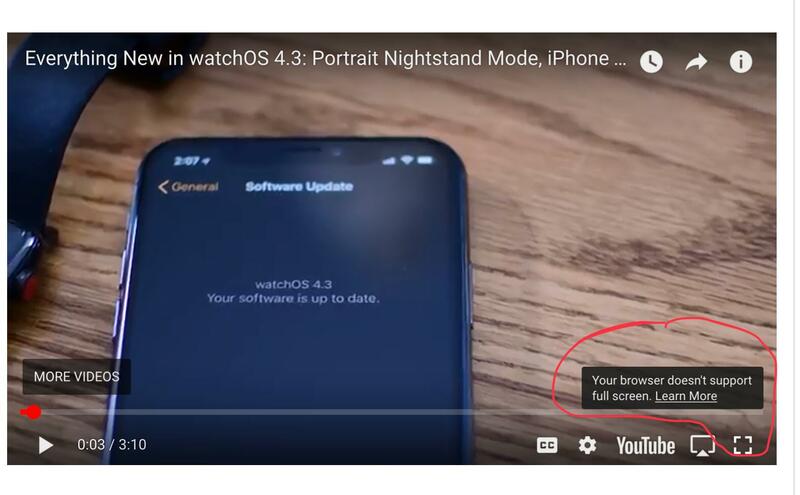 The standard iOS viewer only comes into play after you’ve toggled an embedded video into full screen mode, either by tapping the icon in the bottom right of the youtube interface or by two-finger-expanding the video. On this device I’m on 11.2.6 btw, not 11.3. I’m also on 11.2.6 (on iPhone X) but that isn’t the behavior I get. As soon as I tap the play button the video goes full screen for me, I never see the standard YouTube controls, only the iOS controls. Maybe I tapped something in Settings that I’ve forgotten about? It was me who reported this in another thread, and I too started noticing this whilst my iPad was still on 11.2.6. Just checked my iPhone X, and sure enough on that device it loads the standard iOS video playback controls, but on my iPad I get YouTube’s HTML5 controls, with no full-screen, which leads me to believe this is a Google change, not iOS. I don’t understand. I’ve had iPhone music controls on my series 2 watch all this time. Use it constantly when cycling to work. I think the video is doing a poor job of explaining this. Basically what you're talking about is Now Playing but what the video talking about is Music app. Now Apple has fixed this. Sorry, I didn’t say it here but this is an issue on iPad. What I’m trying to determine is if it’s for all ipads or just me. Seems there’s at least one other person with it! I would think publishers and bloggers would be up in arms over this. And yet there is nothing recent coming back in google about this. No articles, no discussion threads. Weird. I was hoping the AI staff would confirm the behavior. They must test and read their site on an ipad too?? 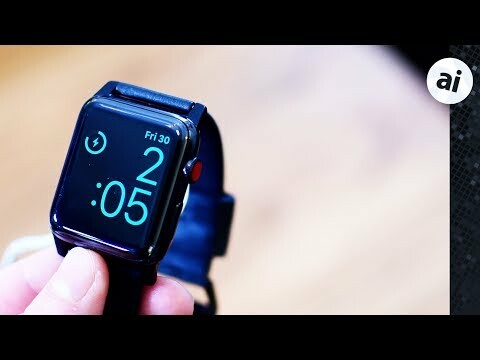 Or when you are swimming in your pool and using your Apple Watch to control or select music on your iPhone that is playing music to Bluetooth speakers, you could no longer do that with WatchOS 4.0, 4.1, or 4.2. They finally fixed that and restored the feature with WatchOS 4.3. Sorry Apple, you are not going to force people to pay for Apple Music by removing software features. Hmm.. when you're swimming the watch will be in water lock mode so you can't interact with touch screen at all. Right. And if it’s not in water lock mode it’s still not very likely anyone would find success using the wet screen with wet fingers. Maybe just adjusting the volume with the Digital Crown will work in that scenario. It doesn’t automatically do that, and the Series 3 especially is very good at telling the difference between water and a human finger. Use it in the shower all the time to play music, and have no issues with usability even with water hitting the screen the whole time. So glad the Music controls are back, no idea why they removed it in the first place. Apple has a (very) bad habit of removing functionality in updates and gradually adding it back. Either they re-write from scratch more often than they should or they really need some help with software engineering practices. This isn't us. This looks to be Google-side. It does. But does it happen to you as well? ie, is this universal or just a couple of us?